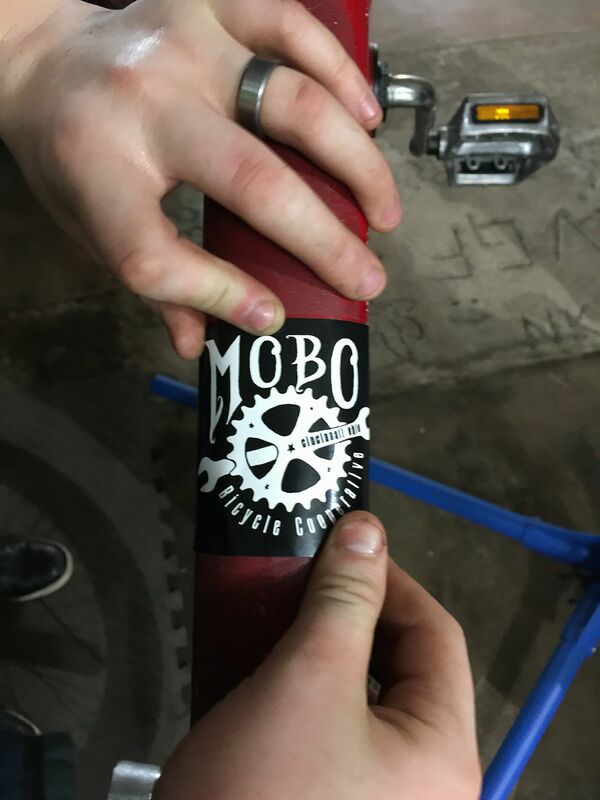 The MoBo Bicycle Cooperative is a non-profit volunteer-run cooperative dedicated to making cycling accessible and practical to everyone in the greater Cincinnati area. 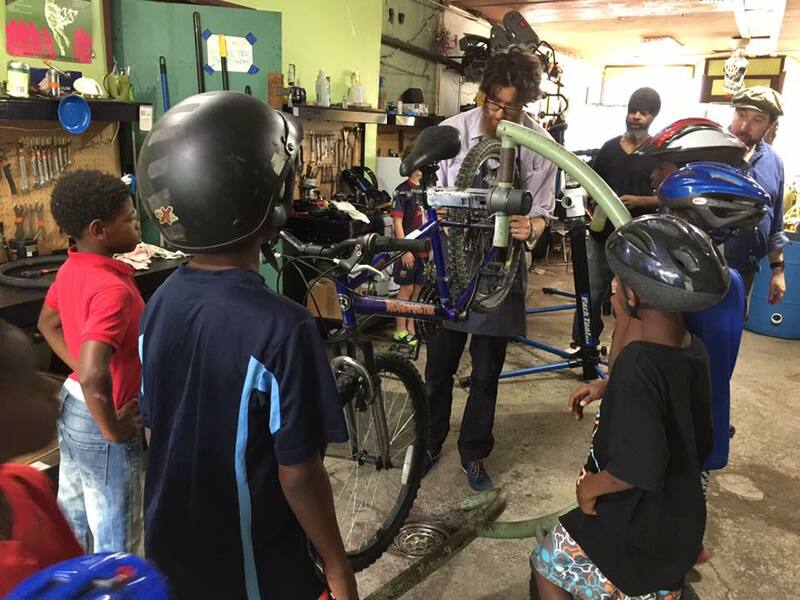 We build community by providing a welcoming and communal workspace, knowledgeable volunteers, and the tools and parts for cyclists of all ages and skill levels to repair, maintain and acquire bicycles. Members learn from and teach one another by sharing knowledge and experience. 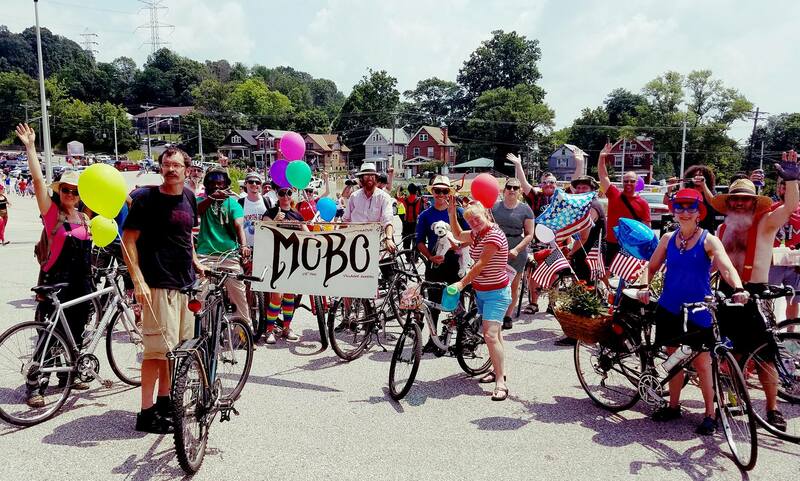 MoBo facilitates healthy and sustainable transportation through bicycle programs, events, and advocacy in our immediate community and beyond. The first step is to become a member by paying $20 annual membership fee. This gives members access to the shop, tools, cleaners, grease, the knowledge of our community and much more to help them work on their bikes. Members who do not own a bicycle can adopt one of the many donated bicycles, parts, and accessories at very modest prices. 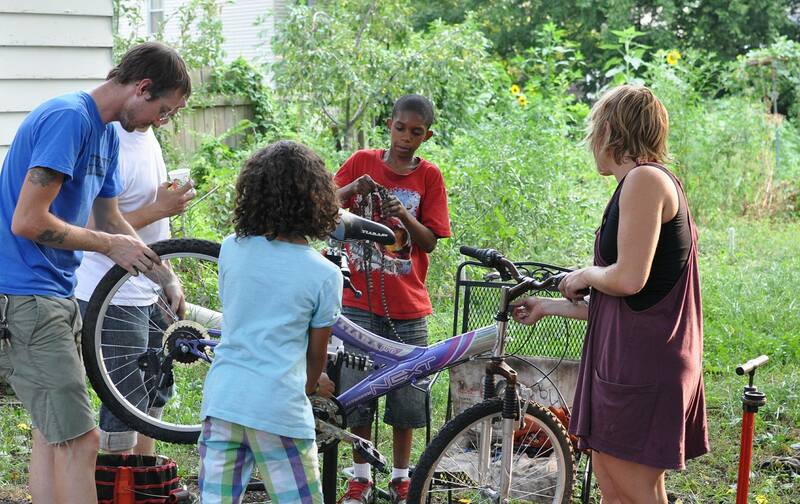 Kids receive free help maintaining their bikes during our summer Kids Day program, which runs weekly throughout the summer. First and foremost, the co-op is not a replacement for a retail bicycle shop. If you are looking for a new bicycle and someone else to service it, we recommend one of the many specialized bike shops in the area that offer professional services. The co-op is not a place to drop off a bike to have serviced. Volunteer mechanics are there to help you, but they will not do the work. We will offer assessment and advice for drop-ins, and we will not turn people away due to lack of funds. Finally, the co-op does not sell reconditioned bicycles (except at our yearly Bike Sale). That said, we hope to take some of the mystery out of bicycles and help people get the most out of bicycling. For information about shop hours and membership, please visit the MoBo website. The Northside Business Association was founded as the Northside Business Club and has been serving Northside since 1907. We’re the official voice with the City of Cincinnati for the Northside Business District. The NBA serves to create and maintain vitality in the Northside Business District, by offering resources for all Northside businesses and working together to cultivate our fun, eclectic, and diverse neighborhood. For inquiries, please contact nba@welcometonorthside.com. Help us keep this website up to date! Northside-based businesses are listed on this website at the will of each business owner. Businesses that are located in Northside, and are not home-based, are eligible for listing on this website. If you would like to have your business listed, or see a business listed that is no longer open, please send us a message to content@welcometonorthside.com. • WHAT IS THE NORTHSIDE COMMUNITY FUND? Northside Community Fund of The Greater Cincinnati Foundation was created by local business and civic leaders to continue Northside’s rich history of collaboration and citizen participation. This fund supports our neighborhood and the activities that matter to us. You can help continue making Northside a great place to live by making a donation to the fund! Click –> HERE <– to learn more. Northside Business Association © 2017. All Rights Reserved.